When a tree becomes to high and starts to cause problems such as blocking out sunlight or growing into its surroundings then you need a, ‘crown reduction’, this is the process of reducing the height of a tree, and re-shaping it to fit more appropriately into its surrounds. 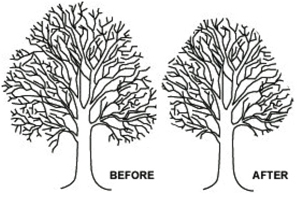 Whether you have multiple or a single tree J E Varley can help you with crown reduction. We only use experienced, qualified and professional tree surgeons who understand how to carrying reductions whilst maintaining a healthy tree and the local environment. If you’re looking for crown reduction services in Yorkshire, Bradford, Leeds or any surrounding areas then the J E Varley team are on-hand to help, simply call or complete our contact form and we’ll be in-touch.